Orotic Acid - super-powerful anabolic, effectively amplifying effects of creatine . 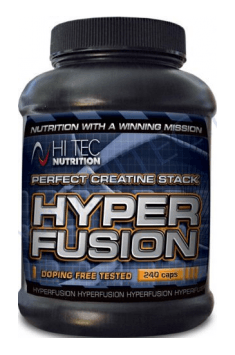 Hyperfusion the twenty-first century, Creatine. In preparation put together with each other 10 most forms of creatine, the most stable creatine ester to the creatine molecule coupled with organic acids , and a new, revolutionary anabolic - creatine orotate . With this recipe, we can ensure that, after the application of Hyperfusion, every bodybuilder, even the most resistant to the various individual forms of creatine, reference huge advantage in the form of increases in strength and muscle mass. Composing our preparation we wanted to maximize the potential of creatine proven over the years, by combining it with: a strong anti-catabolic - HMB, activators of the Krebs cycle (organic acids) and stimulates the synthesis of nitrogen bases (RNA, ATP) - Orotic acid. Creatine esters are among the most stable chemical forms of creatine, so there are converted to creatinine in aqueous solution. The critical point is the transition of creatine by gastric acid solution, where the most popular forms of creatine, especially creatine monohydrate, is inactivated. Creatine esters are resistant to adverse environmental conditions, so that each dose of the preparation allows for maximum muscle creatine saturation. In addition, creatine esters have excellent solubility in a lipid environment, which allows them to penetrate more effectively through the blood barrier of the cell membrane into the muscle cells. Hyperfusion used in organic acids: malate, α -ketoglutarate and pyruvate stimulate energy production in the Krebs cycle and increase the solubility of the conjugated forms of creatine, so you interact with creatine in the regeneration of high-energy phosphate resources - ATP. But our greatest achievement is to combine creatine with Orotic acid (vitamin B13). This amazing, all-natural anabolic body is involved in the synthesis of nucleotides. Nucleotides are "building blocks" that build nucleic acids is well known to the increased amount of ribonucleic acid (RNA) in cells stimulates the synthesis of proteins. Furthermore, orotic acid is used by muscle cells for the regeneration of ATP resources . Orotic acid, along with creatine, increases the energy status of the cells and directly stimulates the synthesis of muscle protein. In addition, it increases the concentration of b-alanine - the precursor of carnosine , which has a pH buffering in muscle cells (longer duration of the sub-maximal exercise) and, as a powerful antioxidant, protecting cells against attack by "free radical" oxygen. Generally speaking orotic acid combined with creatine increases the growth of lean body mass, strength, and muscle contraction increases the training time. One serving (6 capsules) immediately after waking up, the second (6 capsules) after a workout. One serving (6 capsules) upon waking up. Following the above recommendations should bring the best results. it's best to use it for at least eight weeks. Bovine gelatin (capsule), anti-caking agent: magnesium salts of fatty acids. The source of 1-adrosterone closed in the Cyclosome formula, increasing the absorption of the active substance. Vitamin B that activates anabolic processes. Accelerates muscle growth and improves appetite.